Everyone wants a better workout – and it’s easier than you think. Pre-Workout supplements are some of the most popular on the market because they help make this a reality. While it’d be great for us all to feel amazing every training session, life gets in the way. Poor sleep, stress, and time restraints can all affect your performance. Pre-workout helps you level the playing field: you can feel more awake after a tough day, focus on your workout, and deal with some of the performance challenges of a hectic lifestyle. It’s no wonder they’re so popular! Today, we’re going to take you through the best pre-workout supplements and what you can use them for. This is a great way to narrow down your search and focus on the stuff that really matters. Pre-workout supplements are a big part of training culture and they play a big part in both the physical and mental game of a good training session. If you’re trying to have a better performance and push your limits, a pre-workout supplement can provide a serious edge. The main focus of a “PWO” supplement should be adding focus, keeping you fuelled up, and making sure that you’re energised and awake. The overall goal of these supplements is improved performance in the short-term – one workout at a time. These are the main things to look out for – and the big categories we’re going to talk about when it comes to ingredients. When taking pre-workout, the different substances absorb at different rates – and they’re used at different times. For example, Creatine timing doesn’t seem to have a huge impact on effect (even if you can use it to rehydrate after a workout), while Caffeine has a 30-minute absorption peak and citrulline is 30-60 minutes. On the other hand, beta-alanine is best in either lower doses (2-3g) or taken several times a day. When you should take your pre-workout depends on your goals and which ingredients are most important to you. We recommend taking a good PWO around 30 minutes before training, as Caffeine has the most time-dependent effects and peaks rapidly after ingestion. 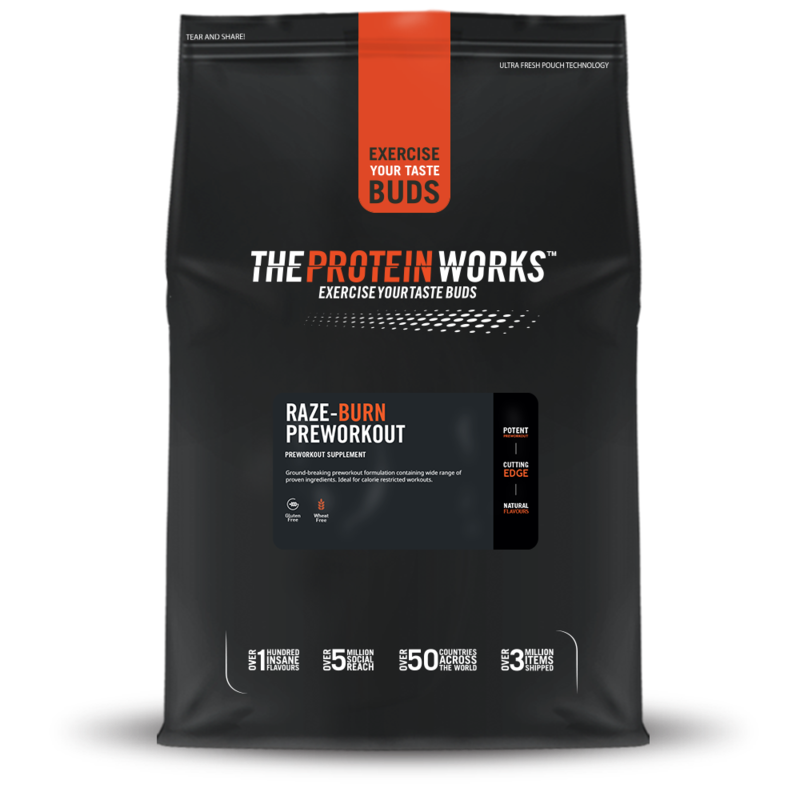 Which is why we have created the Raze Preworkout series – that covers provides all the individual supplements we list below in specifically formulated pre-workouts. From raze pump – that focuses on all the tried and tested supplements that help you in a workout – but removing the caffeine element to allow for late night workouts. To raze burn – that adds in more thermogenic aids that support you in any composition goals you may have. The list is extensive – keep reading to find out more. Caffeine is the #1 ingredient you’re going to find in most pre-workout supplements. Despite coming under fire recently, it’s one of the most consistently effective and well-studied supplements. It’s mostly used for wakefulness and focus (they’re not the same thing) – making it a great part of a busy life. Caffeine is also great for psychological arousal and “switching on” when you come into the gym. This is a mixture of physical and mental changes, but there’s no denying that it works. Reducing feelings of fatigue and boosting focus is associated with an increase in strength and power. There’s very little serious risk to caffeine if you stick within usage guidelines. A regular pre-workout will contain 100-200mg, and you want to keep your overall intake below 400mg in any one sitting. While Caffeine is safe in reasonable doses, you increase the risk of things like digestive discomfort or an elevated heart rate. Always stick to recommended dosages for pre-workout. It can be a challenge to start with as you build resistance, the only risks being jitters and mild digestive discomfort – this is solved by adding caffeine into your diet slowly. Increase your pre-workout intake slowly to see what your individual tolerance is! Make sure to consider how much you’ve consumed through the day from coffee to pre-workout to other sources! Another star on the supplement scene, Creatine is one of the best supplements around. It’s key to increasing your strength and strength-endurance performance. This basically means you’ll be able to hit heavy reps more times before exhaustion. Creatine also contributes to muscle-growth signals both directly and indirectly. It increases the energy available for growth, which provides the best environment for growth. However, it also improves cell volume and nitrogen balance, both of which are key to building muscle and strength. There are also benefits to general energy and performance. Increases in ATP – the key fuel for life – is an easy way to improve your overall wellbeing. Having more energy in the gym is always useful and, despite being a supplement for strength, Creatine has knock-on effects to your endurance performance and profound antioxidant benefits. This one simple compound can make a huge difference to your long-term performance whatever your goals. Creatine doesn’t seem to be heavily affected by nutrient timing. Studies show that pre- and post-workout creatine supplementation have similar effects. As long as you’re taking it close to training (either before or after), you’re going to see similar benefits. Be sure to take creatine with plenty of water – insufficient hydration while taking creatine can cause some digestive discomfort. You want to take plenty of water and fluids in while supplementing and during a workout. If creatine is 90% strength and 10% endurance, Beta-alanine is the opposite. This supplement is a great way to increase your endurance performance. It rapidly increases your time to exhaustion, allowing you to train harder for longer without gassing out. This is crucial if you’re trying to boost your performance on the treadmill, bike, rower, or in a WOD. These burners all require serious endurance and beta-alanine in your pre-workout will equip you to perform at your best. Recoverability between sets is another benefit here. With a boost to endurance and aerobic energy comes the ability to recover better from one set to the next. When you’re resting, your body is working to replace ATP in the muscles – a process that relies on taking oxygen and using it to produce energy. Beta-alanine is key for this. We’ve talked about Citrulline recently and we’re still impressed by the range of benefits that this unassuming compound can bring to your training. Citrulline is the perfect accompaniment to Creatine and Beta-alanine. It bridges the gap between the two, providing benefits to endurance in high-rep strength training and endurance. This means that combining the 3 in one supplement is a great way of preparing for your workout. This also boosts important recovery markers. To start with, it reduces muscle soreness while keeping you low-fatigue and increasing oxygen delivery to the muscles. These are key processes in short-term performance and recovery – an easy way to improve your workouts. Citrulline also contributes to better muscle growth when you’re done. It improves the signalling process that tells your body to build muscle: it improves the effectiveness of Leucine (something we’ll mention later), improves your nitrogen balance and allows you to recover from more training volume. Add these 3 together – along with Creatine – and you’ll see serious change. The final benefit is controversial: the pump. While the pump isn’t tied into how you make muscle gains, it is a big part of the feeling of a good workout for many people. Better pumps come with improved blood flow and oxygen delivery, both of which seem to come with citrulline supplementation. Always look for supplements that use Citrulline instead of Arginine – it’s a superior compound and is going to make sure you get the best results possible for your hard-earned cash. These are 3 amino acids that you tend to find together in supplements. These are Leucine, Isoleucine, and Valine. While there are some mild benefits to consuming them all – such as a small improvement in endurance – the real benefits come from Leucine. This is the most important of all the amino acids for muscle-growth. Proper leucine supplementation can actually increase muscle-building potential by itself when you’re eating the right diet. You can improve the effects of Leucine by combining it with other supplements that have been mentioned on this list. Citrulline improves the absorption and effectiveness of the Leucine you ingest, while Creatine helps improve nitrogen balance, complementing both. You can find high-quality Leucine/BCAA supplements for this purpose, but a combination is best. Having intra-workout Leucine/Amino acids seem to be effective in improving endurance if you’re under-fed when you come to training. 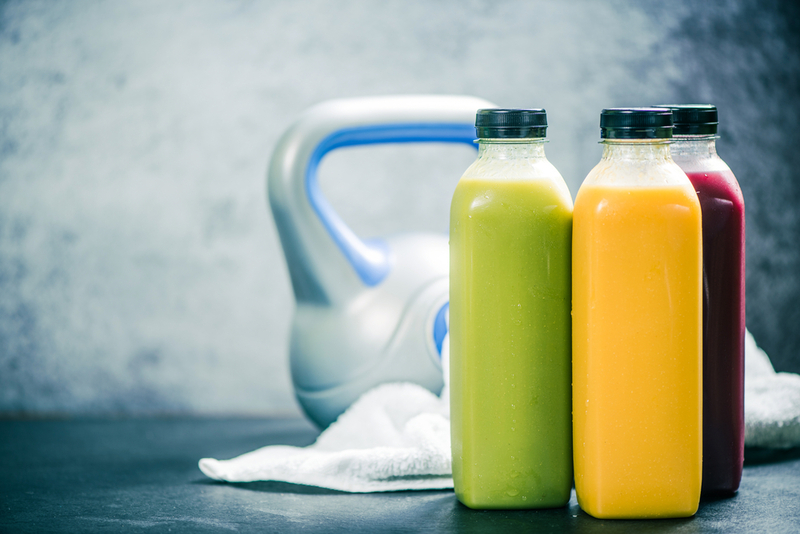 The best results are seen when addressing poor nutrient timing (as you need to eat pre-/post-workout meals within 4-6 hours) – especially since protein (made up of Amino acids) is the most time-sensitive of all nutrients. If you’re looking for an effective pre-workout supplement, these are the most important ingredients to look for. There is a lot of hype out there with low-quality supplement companies who fill their products with stuff that has no scientific backing. On the contrary, the ingredients on this list are effective and verified by a wealth of scientific studies. This is always crucial to picking a supplement: if there’s no evidence that the ingredients work, it’s not worth your money. You want a Pre-Workout supplement that’s going to work! Look for the ingredients on this list – especially in combination – when you’re looking for your next pre-workout supplement. A small investment here can make a large change to your performance at a great price.